Dollars To Donuts Online Slot is 3 reel, 5 payline classic slot powered by Rival Gaming. 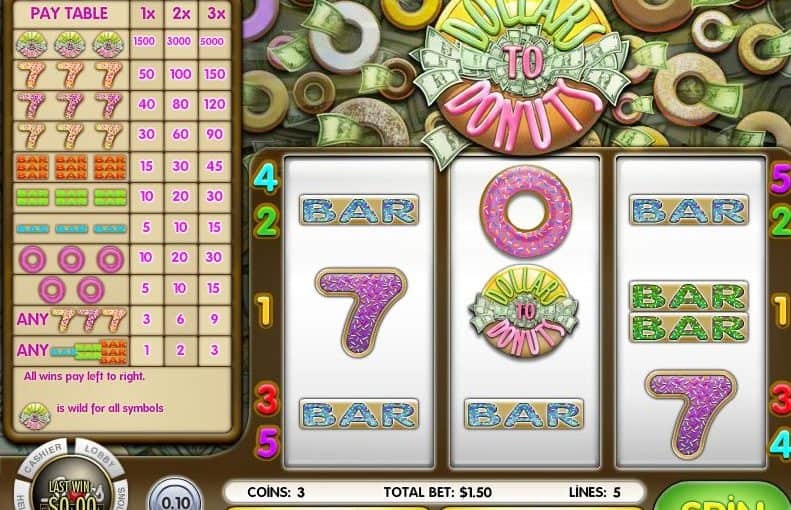 The slot features a traditional icon set of bars and sevens and offers multi-symbol payouts. The lucky pink donut icon can pay out for 2 OR 3 icons in a row. The branded game logo icon is WILD which can amount to huge wins!